The information provided in the following article is intended as an educational resource only. Serato does not develop HandBrake and as a result does not guarantee support for any issues that may arise from using this product. Should you have any other questions about the operation of this product then please contact the developer of the software at the Handbrake homepage. NOTE: It is illegal to encode material that you do not own. Please respect the copyright of the content owners. As Video files come in a range of container and encoding formats, it's important to make sure that your Video files can be read by Serato Video, and this can be done by re-encoding them to a standardised format. This guide will take you through the steps on how to convert your files to the most suitable format, using the freeware application HandBrake. Before we get started please visit our article on Video Files 101 to give you an overview of the terms used in the following tutorial. 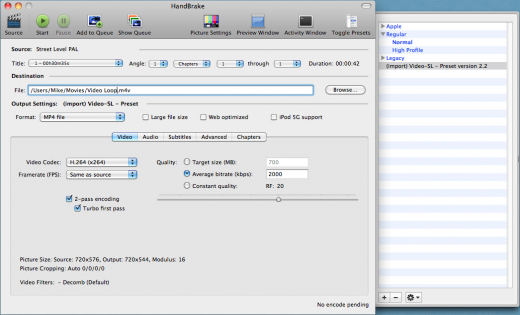 HandBrake can convert video files & DVD's into various formats, with many different settings. We have created a preset that will ensure your videos work well in Serato Video. IMPORTANT FOR MAC USERS: You must have Perian installed to play video files created using this preset. You can get Perian here. Download either the Mac or Windows preset, and unzip it to your desktop. Click the Presets menu and select Import. Browse to your desktop, select the appropriate file and click Open. When you launch HandBrake there should now be a new preset option, named the same as the downloaded file. This contains all the necessary settings to convert video files which are optimized for Serato Video. The Settings in the preset are for an MP4 file with H.264 codec, an average bitrate of 2000kbps, a decomb filter and a keyframe rate maximum of 25. We have found that these settings have produced a good balance between file size and CPU usage. 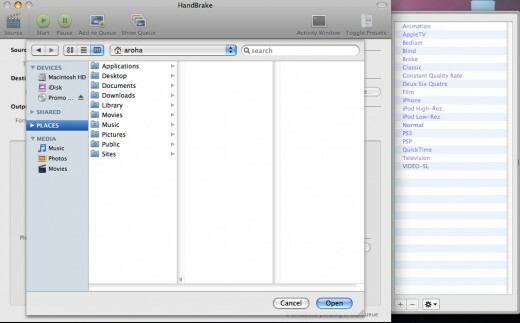 Once you are comfortable with HandBrake you may want to further tweak these to suit your needs. This works largely the same in both Mac and Windows, the only difference being the template for Handbrake. If necessary, click the Source button in the top left, to choose what you want to convert. Click the appropriate preset in the sidebar to load it. Click Browse next to the destination box to choose where you want to save the file. Click Start to begin conversion. This can take quite a long time depending on the length of the source video. 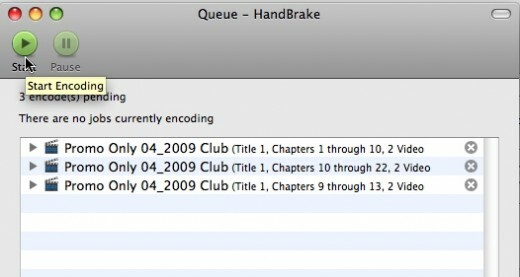 It's also very easy to convert more than one video file at a time using Handbrake. Follow the steps to set the right settings for this video, as above. Click the "Add to Queue" button, to store your selected "jobs" until you're ready to convert them all. You can check and edit the jobs in the queue by clicking "Show Queue". When you're happy with your selection choose the converted file destination on your computer, then click "Start".